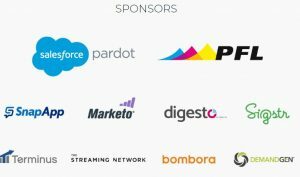 Conex: The Content Experience Conference 2018 is one of the UberFlip series of Content & Digital Marketing events, held worldwide. It brings together like-minded people in digital marketing, demand generation, and content marketing in order to connect them with interesting and impactful players that understand and champion the importance of experience to the buyer journey. Conex: The Content Experience Conference 2018 is a three-day event, that gathering attendees and speakers from vastly different industries can collaborate and draw inspiration from unlikely places. It is a winning formula of curious minds and groundbreaking presentations in an immersive environment focused on how remarkable experiences can drive every stage of the buyer journey. Conex: The Content Experience Conference 2018 will take place from 20 – 22 of August 2018 at InterContinental Yorkville, Toronto, Canada. Get Insights From The Best-of-the-best In Marketing. 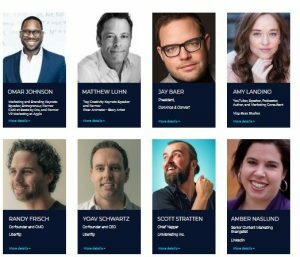 Learn from marketing rockstars on topics ranging from creation to analytics. Learn what it takes to create a more efficient team – not only within marketing but your entire organization. Get actionable tips on how to expand your content’s usability to other teams and make your content work for you. Network with fellow digital, demand generation, and content marketers. Learn from each other about what has worked – and maybe even what has failed – in your marketing strategies. New friends!. Anna Hrach – Convince & Convert. Follow up the Conex: The Content Experience Conference 2018 updates here OR discover more Digital Marketing events, conferences & webinars in Canada during 2018 here.